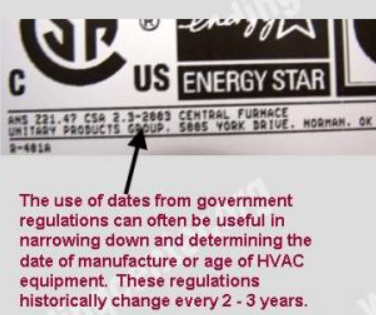 How to determine the date of production/manufacture or age of ThermaQuiet® HVAC Systems. The date of production/manufacture or age of ThermaQuiet® HVAC equipment can be determined from the serial number located on the data plate. Help keep this site FREE to the public. Or join some of our generous donors who provide $2 to $10 automatic monthly donations! Any amount will help and greatly appreciated to help us maintain this site for your use!